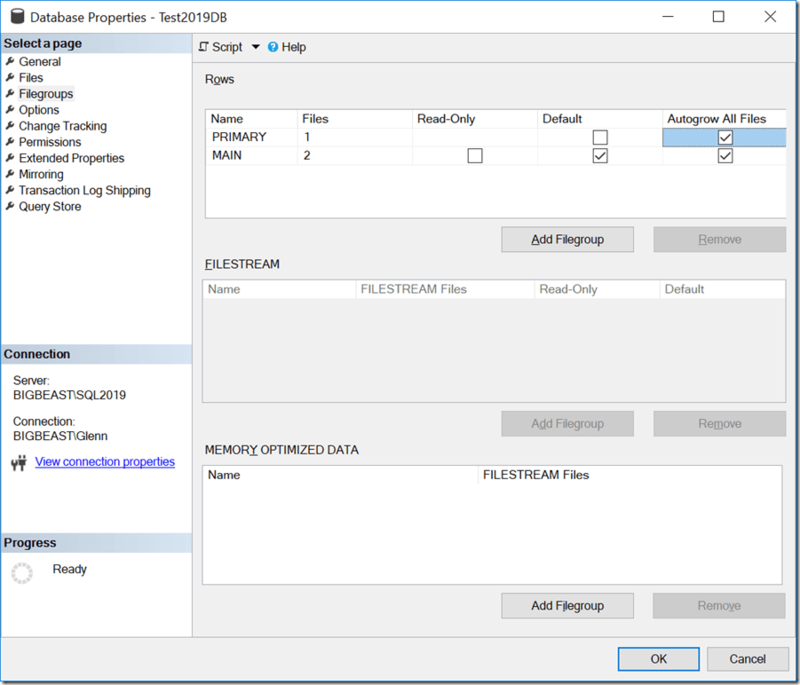 One of the small improvements in SSMS 18.0 Preview 4 is the addition of an “Autogrow All Files” checkbox in the Database Properties dialog on Filegroups page as shown in Figure 1. This is another nice change that will hopefully make it easier for more people to enable this setting because the tooling actually makes it easier to do. 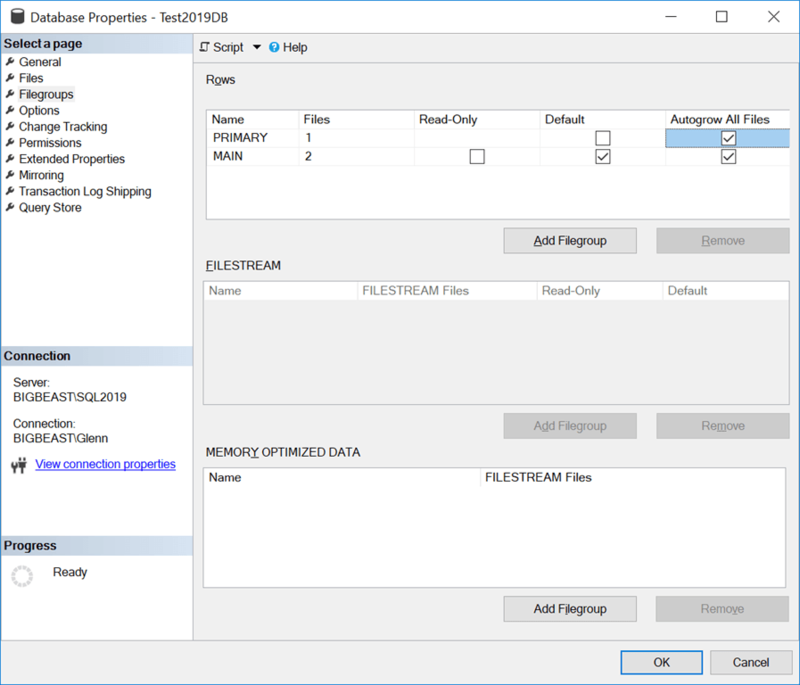 If you have multiple files in a file group (and I think having at least two is a good idea), it is important to have them be the same size, so that SQL Server will spread the work more evenly between the files. If you have one large file and one small file, the small file tends to get ignored.